It’s been almost a decade since writer Gerard Way and artist Gabriel Bá told a new story about the dysfunctional superhero family of The Umbrella Academy, and after years of teases, the series finally returns in October with The Umbrella Academy: Hotel Oblivion. Conveniently timed to coincide with the debut of Netflix’s adaptation starring Ellen Page, Robert Sheehan, and Mary J. Blige, the hit comic returns with a seven-issue miniseries checking in with the heroes after the death of their adopted father, scattering them across the globe as they embark on their own separate paths. Both creators have gone through a lot in their time away from this world: Way launched the Young Animal imprint at DC Comics and developed some of the most ambitious superhero books of the last few years, and Bá created deeply emotional comics like Daytripper and Two Brothers with his brother, Fabio Moon, giving him new insight into the human condition. 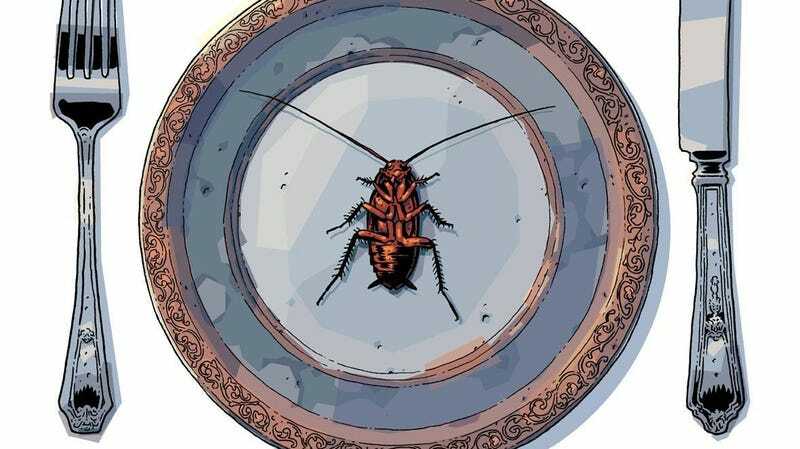 Way and Bá have grown a lot, and The Umbrella Academy: Hotel Oblivion gives them the opportunity to apply their expanded skills to their off-kilter superhero universe. This exclusive preview of the miniseries’ first issue, on sale October 3, introduces a lot of big ideas as it catches up with Spaceboy and The Kraken in Japan. Bá brings this environment to life with the help of colorist Nick Filardi, whose vibrant pastels pair excellently with Bá’s high-contrast inking, and Nate Piekos’ lettering matches the jagged quality of the linework with angular word balloons. There’s barely any action in these pages, but they are packed with energy indicating the creative team’s excitement to be back working on The Umbrella Academy.